AWS or Amazon Web Services is a subsidiary of Amazon(dot)com and one of the most reliable yet high performance cloud computing platform for companies, individuals, webmasters, and governments to manage small to enterprise-level applications. If you’re looking for cheaper cloud server or low-cost AWS alternative as it’s a bit expensive, then this post will definitely help you find the appropriate one. The great thing that I like the most is “pay as you go” based billing structure which means you only charged for the resources you use. As I mentioned earlier, they are pricey but the quality you get worth each of your single penny. While researching, I came to know that it can be even expensive for websites getting immense traffic due to overage usage. Another thing that may force users to look for better services than AWS is complexity – Yes, it’s quite intricate to set up, only suitable for developers, corporations or big brands having a dedicated team of technical experts. That’s why most of their services are not available directly for end users. Developers and IT professionals use it for applications through API functionalities. Apart from prices, complex server configuration might be the primary thing that may urge most of the users to look for alternatives to AWS services – who knows. If your primary concern is a cheap and low-cost AWS competitor, then Vultr would be a great option. They are one of the most affordable cloud web hosting providers out there that offer numerous data center locations all around the world for fast load speed. The best part is even they have cheaper plans but all of their servers built with solid state drives for rapid applications and websites rendering than traditional shared hosting. 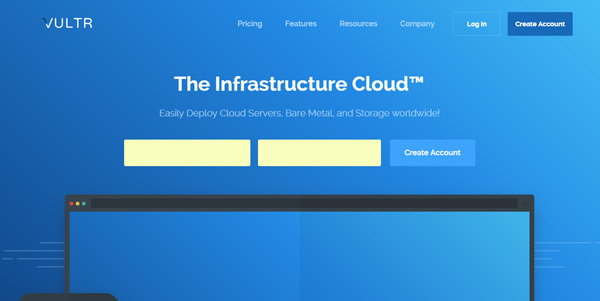 The basic cloud instance (Server) comes as low as $2.50/month with 20 GB SSD storage, 0.5 GB Ram, and 1 CPU Core. Their custom made control panel has a minimalist and clean UI to install supported OS such as CentOS, OpenBSD, FreeBSD, CoreOS, Windows, Debian, WordPress, etc. within a few minutes. You can easily set up domains, check statistics, enable SSH, or scale resources in no time. You can pay based on hourly usage with Vultr because they offer both monthly and hourly billing system. However, they are a bit simpler to use due to the user friendly interface and control panel. On the other hand, with AWS, you must have technical skills to use it. So, in term of beginner usability, Vultr is much easy to use and take a few minutes to establish your desired cloud server. The technical support team can be reached via the ticketing system anytime 24/7. 1and is another cloud computing service similar to Amazon AWS. You can pay on the monthly or hourly basis for all of their plans. The company offer various services such as domain name registration, shared web hosting, dedicated servers, website builder, email marketing tools, and web security tools like SSL certificates. CloudSpector ranked them undefeatable regarding the best price-performance ratio in America and Europe in 2017. Precisely, they are one of the top domain registrars in the world to buy domains at competitive prices. New customers can grab their desired website name just at 99 cents for the first year. Compared to Amazon Web Services, 1and1 also presents a wide range of cloud computing solutions to help webmasters and developers host their applications on cutting-edge machines located around the globe at 3 locations. All plans come with free SSL certificate to ensure user’s information safety and allow full root access. You can pick from 7 plans or create a custom one with required RAM, CPU cores, and storage volume. All of their plans included SSD hosting, Firewall protection, unlimited traffic, outstanding 99.9% uptime, and 1&1 SSL certificates. Launching a cloud server won’t take more than 55 seconds as the company claimed. Moreover, Full API access, load balancer, regular backup are extra perks with all root packages. It costs only $9.99/month for sa ingle core CPU, 1 GB RAM, and 50 GB SSD storage to get started. Usually, we all love to buy a product which fulfills all of our needs regarding usability and features as well as functionalities. 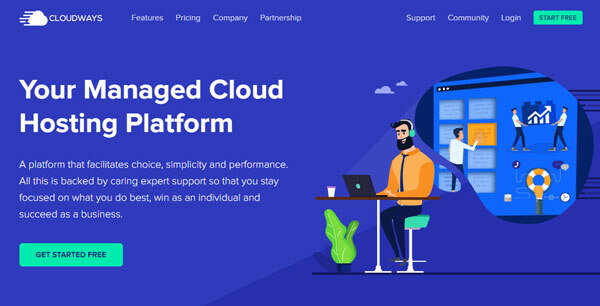 This is where CloudWays comes in the game; they are a fully managed cloud hosting provider (IaaS) in the market with balanced price and features along with expert technical staff available 24/7/365. In fact, they don’t have own data centers instead yields cloud compute solutions from other companies. CloudWays is a one-stop shop where you can select from multiple cloud infrastructures and 25+ global data centers to deploy your server within few clicks. They offer SSD based cloud storage through Linode, Vultr, KYUP, Google, DigitalOcean, and Amazon for enterprise-grade performance and lightning fast load time. You might know that speed is one of the 200 ranking factors in Google search engine. So, take advantage of their best-in-class platform to obtain top SERP positions. Unlike AWS EC2 where you have to set up everything yourself, as CloudWays provide managed services, so you can install popular CMS like WordPress with a one-click installer. They support 10+ one-click installer applications and free SSL certificate to make your websites/blogs HTTPS enabled which is another ranking factor. In a nutshell, bloggers and webmasters running content-based websites can choose CloudWays as a great alternative to AWS for easy management, peace of mind, and instant help round the clock. 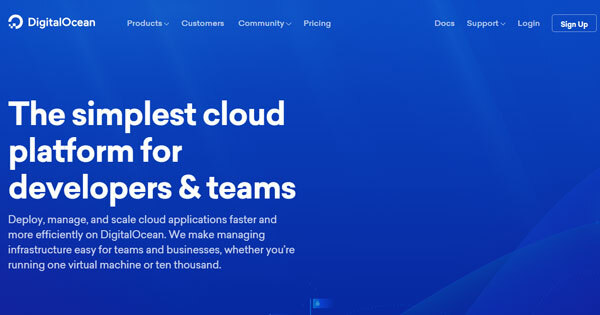 DigitalOcean is the most popular and trusted cloud provider for all range of users at comparatively lower prices than AWS. They were the first cloud hosting company that started serving SSD built virtual machines back in 2013 to ensure high speed delivery. Currently, offering various solutions like Object storage, block storage, and Droplets (they called cloud computer as Droplet). DigitalOcean has multiple data centers worldwide integrated with load balancers for flawless performance across the globe. Their “Load Balancing” technology work out of the box and don’t need any manual configuration, it distributes incoming traffic for maximum accessibility thus ensures zero downtime. They have 40 Gbps redundant network connectivity to achieve incredible 99.99% uptime for all of your apps and websites. Launching a droplet requires as low as 55 seconds to pick and install desired software such as FreeBSD, Debian, Fedora, CentOS, Ubuntu, WordPress, Node.js, phpMyAdmin, MySQL, etc. The starter plan includes 512 MB of RAM, 50 GB volume, and 1 TB data transfer for just 5 bucks per month making it an affordable Amazon Web Services alternative. The only disappointing thing here is you can’t install WordPress on this plan. Need high RAM or CPU power? No problem Digital Ocean also have packages that include high RAM and CPU cores to host giant apps as well as sites. Customer support is given through the ticketing system only as they don’t offer live chat or phone call. And when it comes to web hosting, it’s always good to have customer support via live chat and phone call for instant reach. Don’t have technical skills? Just browse following DigitalOcean alternatives. CloudSigma is a public certified cloud computing provider working since 2009, empowering companies and individuals build their application in the highly scalable environment that allows on-demand customization. So, you can increase or decrease server resources (CPU, RAM, storage, and traffic) as per your needs whenever required. They allow running unmodified operating systems such as Linux, Windows, FreeBSD, etc. along with 100% SLA, 10 locations, and 7-day free trial. The company utilizes custom KVM cloud to maintain all machines performance by allocating dedicated resources to their users. Need more power? No problem, their instant server provisioning allow on the go CPU power, RAM, storage, IPs, drivers, and much more to handle intensive applications. CloudSigma’s servers built with SSD drives, offer up to 40 cores, 128 GB RAM, robust API, 10 GigE networking, external integration, and much more. Now, what about pricing? Are they affordable? With them, you don’t have to pay for bundled services which you never use as they employ transparent “pay for what you consume” billing policy. However, there are some pre-made plans to choose from or you can build a custom one to avoid overpaying. The “Small-2” (for demonstration) allows 40 GB SSD space, 1 core processor, 1 GB RAM, and an enormous 5 TB transfer at the cost of just $14/mo. You can get in touch 24/7 with customer support via live chat and email (ticketing). Developers and hosting experts who like to have more control over their servers can choose Host1Plus for highly stable, powerful API access, and KVM virtualization. You can select from the Windows and Linux operating system to launch virtual machine within a few moments. KVM helps in maintaining stability, security, network performance, and cost effective as well. Plus, it works with both OS, can be integrated with Linux and Windows platforms. Host1Plus uses latest Intel Xeon E5 processors, DDR5 error correcting-code RAM, 10G network, and more than 30+ IPv4 addresses. Moreover, all servers routinely backed up to secure all of your content from any incidence. Secondly, they do offer a free IP address to access your website which means you get a dedicated IP. Here remember one thing, Host1Plus provide unmanaged cloud solutions, so you’ve to manage everything by yourself. If you’re a tech guy, then select them otherwise look for other alternatives to AWS listed here. Aside from cheaper cloud hosting, they do offer lowest priced vps hosting with full root access, DNS management panel, flexible scaling environment, and support standard OS like Fedora, Debian, CentOS, and Suse, etc. The very first package named “LIN1” costs only $6.40/mo which includes 1 CPU core, 20 GB storage, 512 MB of RAM, and 2 TB monthly bandwidth. There are 4 global data center locations to choose from – USA, Brazil, South Africa, and Germany. RackSpace offers a wide range of products including email and application storage, eCommerce hosting, database management, analytics services, ERP, web content management, domain hosting, and managed cloud hosting for all tier of users ranging from small webmasters to enterprises. RackSpace also has almost everything you can get from Amazon Web Services but at a reasonable price tag. Besides standard plans, they do have plans packed with high RAM and CPU power for developers and programmers to host complex applications that require high read/write speed. Same as CloudWays, they let you pick from Microsoft Azure, AWS, and RackSpace cloud to deploy dedicated servers for robust reliability and performance. Cannot compromise on uptime? No problem, the company stands in leading SLA’s and claims to deliver 100% uptime. Google Cloud platform is known as highly scalable and reliable cloud computing services provider for giant websites and companies to host their data on the state of the art hardware. They are one of the closed alternatives to AWS cloud platform due to pricing and infrastructure environment in term of management. Similar to Amazone EC2, to operate Google services you must have advanced technical skills or hire an experienced developer to do all the technical stuff. It’s also necessary to avail Google Cloud services from third party hosts, for example, CloudWays to make things easier and avoid extra costs that you spend on hiring a developer. They offer unbeatable cloud servers but managing it a little bit messy. So, you can choose CloudWays for managed solutions along with 24/7 customer support regarding all the major operating systems. Another high-end alternative to AWS – Just like above ones, Microsoft Azure is also a giant name when we talk about topnotch cloud services in the world. Their infrastructure is suitable for multilevel projects ranging from small to big, huge applications, and crowded websites to run smoothly under high loads. The best part is they offer free $200 credits and one year subscription to 25+ Azure tools. So, it’s the right place for IT professionals and developers to build apps by utilizing more than 100 services. You can use free credits to experience their products such as Azure Cosmos DB, App service, HockeyApp, Traffic manager, HDInsight, Data Lake Analytics, etc. within 30 days. Without any plan exception, all users can access these products always. Moreover, testing and deploying a virtual machine can be done with these credits to analyze the performance. Plus, the load balancing feature also included for maximum availability. SoftLayer is the last but not least host in this list, it provides managed and dedicated servers alongside cloud computing solutions. IBM acquired it in 2013 and now known as IBM Cloud. You can hire a dedicated bare metal server or virtual cloud machine in nearly 60 locations (data centers) to target your audience around with world with no performance lag. All of their cloud servers are AI ready and comes with machine learning API’s to help developers build their applications with on-demand automatic scaling feature. It’s the right option for developers and IT experts who are looking for high-end services to get the same functionalities and flexible scaling environment to upgrade system resources when needed. Specifically, if you just want to host a small blog or app, then check other companies listed above. They don’t offer pay-as-you-go billing structure instead of hourly/monthly basis. Customer support services can be reached via phone call and ticket system. 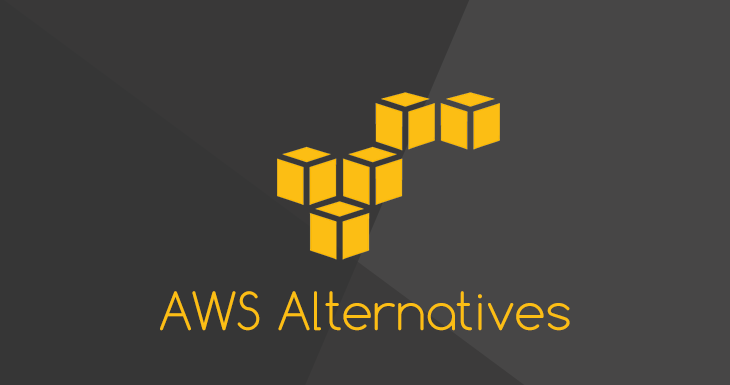 Conclusion – Which Alternative to AWS Should I Choose? Finally, it’s your turn to make an appropriate decision as per your requirement. Picking the perfect cloud company could save you significant bucks without compromising on performance. Amazon Web Services are top-notch and there is no doubt about it, but due to plenty of development environments, different users may have different requirements. As I have mentioned many companies which may make it difficult to choose the best one. So, let’s simplify it, programmers and developers prefer to have more control on their hands go for Host1Plus for an unmanaged cloud. And bloggers, webmasters, beginner users having a little know-how about managing cloud servers must choose Vultr or CloudWays. What about high-end services like Google Cloud and RackSpace etc.? Well, these are suitable for giant companies and large projects to handle huge traffic or process complex applications and much expensive than the above ones. In the end, let me know which AWS alternative service you think is the best and can be used for better quality? Did you have previous experience with any cloud host, do share your experience below?